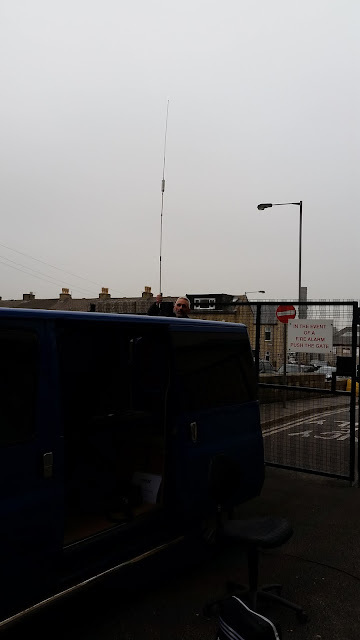 I was very pleased to find the 20m band wide open this morning as I drove to work /Mobile, I was straight into Sydney Australia as I worked VK2DX giving him a juicy 5/6 signal. Nick VK2DX was booming with a genuine 5/9 signal. Well that's all for now time for some work. If you can get on 20m right now its wide open. 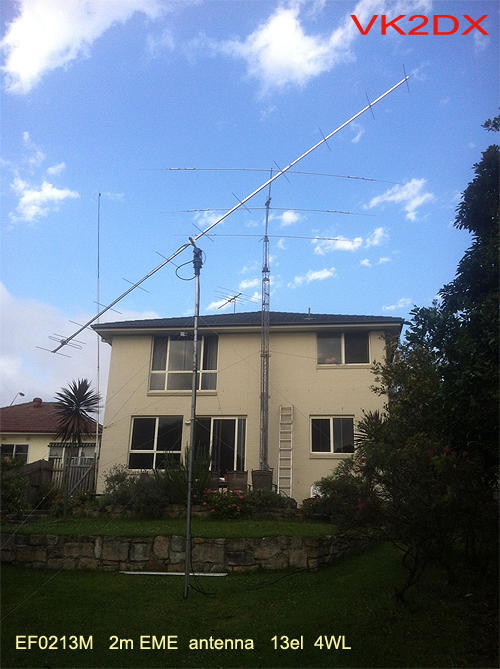 I built myself a full wave 40m loop, ordered a 22m fibreglass flagpole and went outside into my back garden. 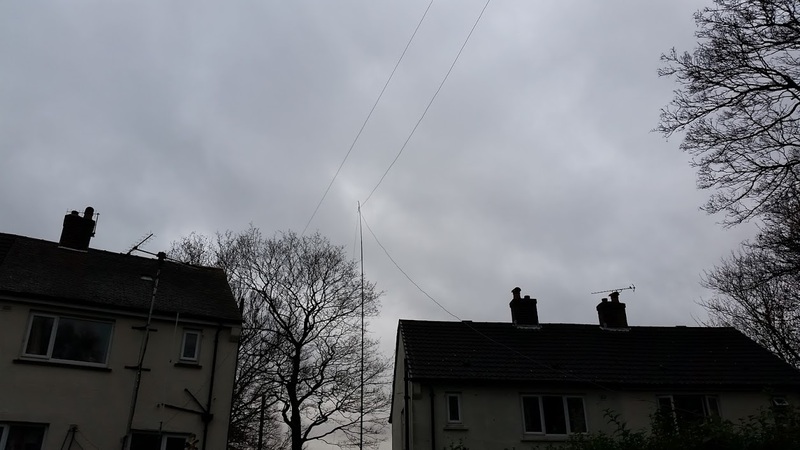 I erected the loop in a delta formation with one end supported by a convenient tree, the other my new flagpole and used a 4:1 balun and coaxial choke to feed the antenna with 50 ohm heavy coax. I am amazed that the the 40m delta loop works on 80 without any need for an atu with 1.5 swr. Also swr readings of 1.5 and less on 17m, 15m, 12m and 10m. Thats is awsome! I just need the atu to tune 40m and 20m as they are reading swr at around 2.5:3 which I may have a go at improving on when I get chance. So far the 40m Delta Loop is receiving superbly and seems great on transmit with my single calls getting over the pileup on 100 watts quite easily. Its looking promising and I will enjoy testing it out over the winter months. 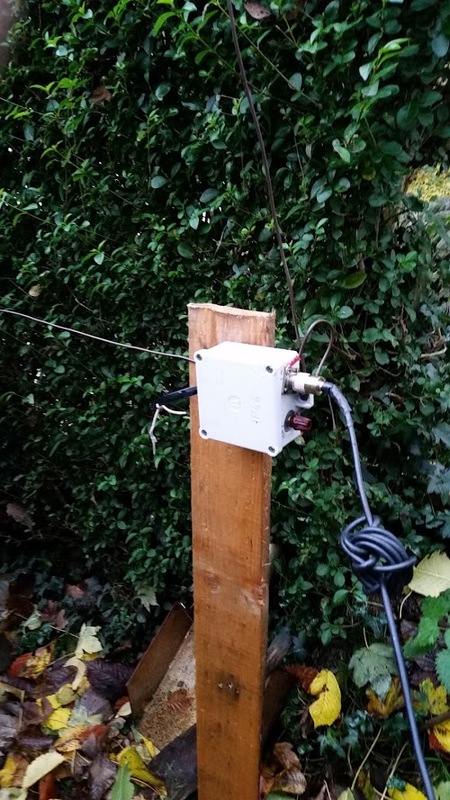 Homebrew 40m Delta Loop - There will be much more info including build instructions/dimensions and band results on the new 80m - 10m (40m full wave Loop) in my next post, until then very best 73! This afternoon I introduced my engineering/electronics students to the world of amateur radio. The students are in their second year with me studying part time on a three year schools provision we are delivering at the college. The students have all built FM receivers so as promised I brought in some of my standby ham radio gear to show them how things work. 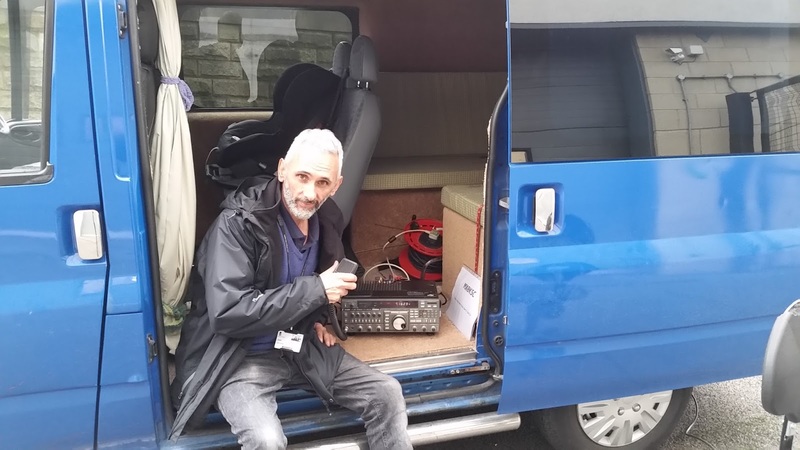 I set up my YAESU FT -767 in the back of the van which I parked inside the college grounds. I showed the students my collection of mono band antennas explaining their purpose regarding wavelength size and resonance without trying to overcomplicate things too much. I decided to make the most of the opportunity and got out the large Hustler mono band mobile antenna which has separate resonators (interchangeable top loaded whip sections) for most of the HF bands. I powered up the trusty old Transceiver and began to check out the 40m band with the students listening by. We were fortunate as the band conditions were favorable and I was soon in qso using the college's club call MX0KSC. The students soon got the hang of it and were keen to try and tune the vfo to a voice signal, I gave them a go under strict supervision and to my pleasure they were taking things seriously. I spent the next couple of hours changing over the Hustler resonators to explore the various HF bands as we worked lots of stations on 40m, 20m, 17m and 15m.